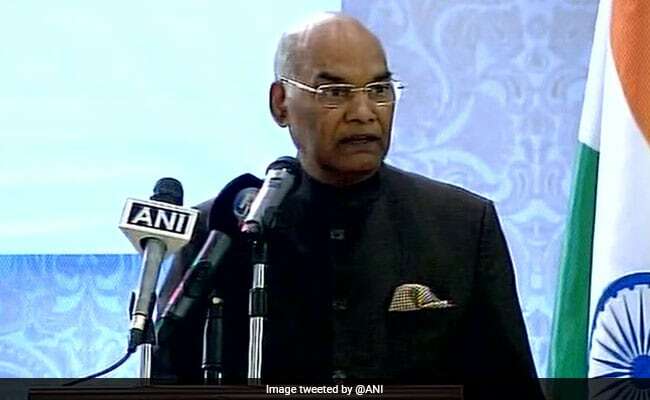 President Ram Nath Kovind on Saturday exhorted people from all streams of the society to ensure their participation and contribution to education. Speaking at an event at the Patanjali University after inaugurating the two-day ‘Gyan Kumbh’ here, the President urged the participants to find solutions to the challenges to quality education. Lauding the efforts of Patanajali for organising the event in which higher education ministers of 18 states, higher education secretaries and vice-chancellors of 131 universities are taking part, President Ram Nath Kovind said coming together of such a wide galaxy of people involved in education augured well for the education sector. He said it is the responsibility of all to ensure that every child is educated and that the teachers inculcate in students not only the basics of education but also our rich heritage and culture. He also remembered Dalit icon B.R. Ambedkar, former President A.P.J. Abdul Kalam, and educationist and politician Madan Mohan Malaviya for their contribution to education. Uttarakhand Chief Minister Trivendra Singh Rawat stressed on the need for more research and rued that only 39 per cent of the 903 varsities conducted research. He said of the 39,000 degree colleges, only 40 per cent had higher education facilities. Yoga guru Baba Ramdev said through education India has to be transformed into a ‘Vishwa Guru’ (world leader).